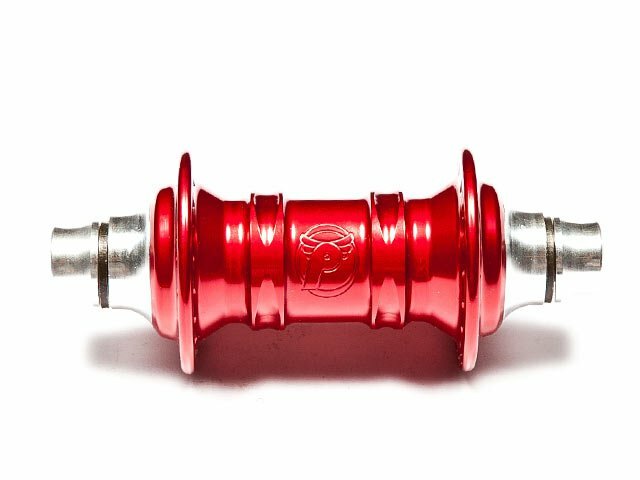 After having the Profile "Mini" Front Hub - bloddy red you will never get another one. 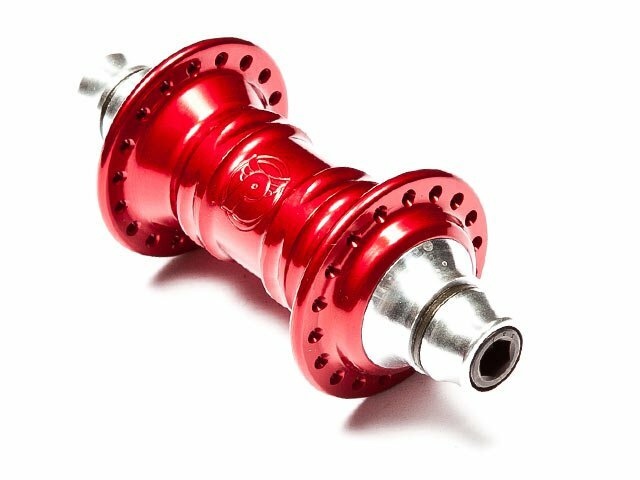 It is incredible strong and its precision bearings will run your front wheel top-notch. 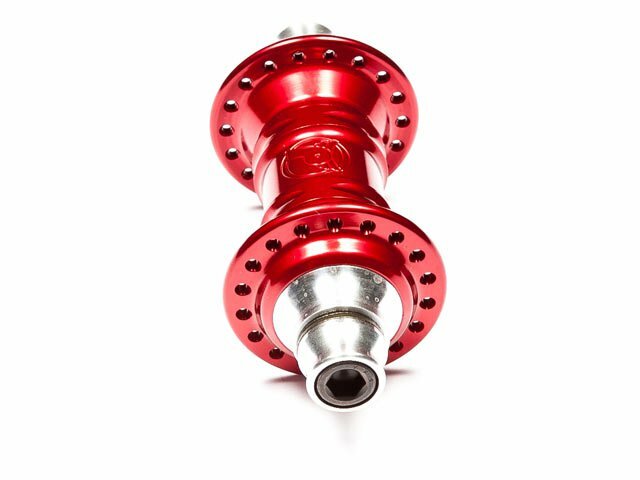 The Profile "Mini" Front Hub - bloddy red comes with an aluminium female hollow axle and CrMo allen bolts.